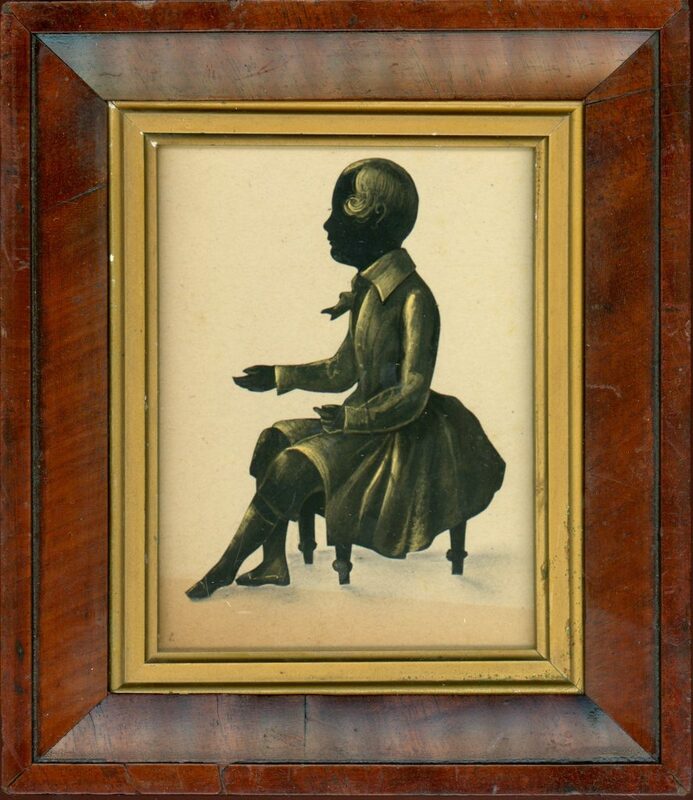 Given the extensive research completed by Sue McKechnie for her massive tome on silhouettes (British Silhouette Artists and their Work 1760-1860), it is rare indeed to come across a silhouette, such as this, that is by an unrecorded silhouettist. The find is even more striking because of the competency of the work and because the artist purported to be based on The Strand in London where, during the 1790s, several artists, including John Miers, had a studio. 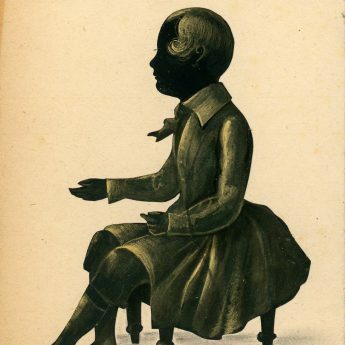 The profile has been cut out and well gilded and depicts a young boy wearing a Petersham coat and neck tie seated on a foot stool. 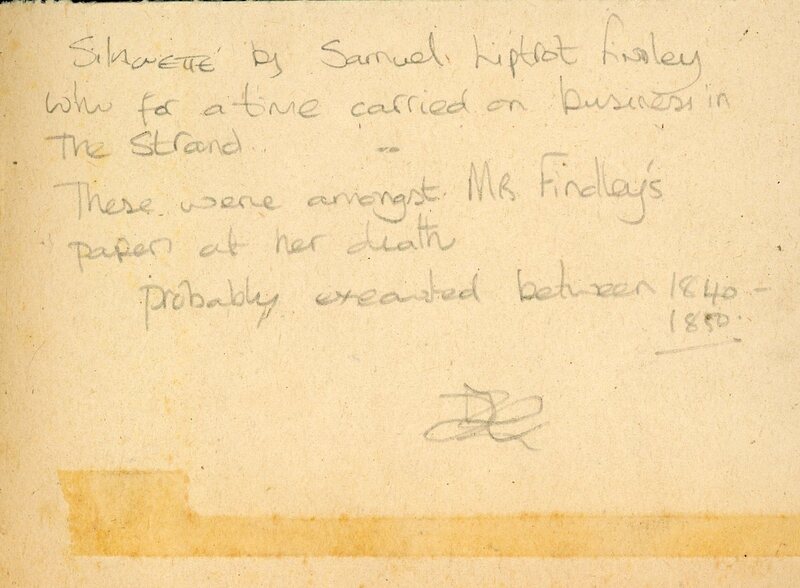 A note in a later hand on the reverse claims that the silhouette was found amongst Mrs Findley’s papers when she died. 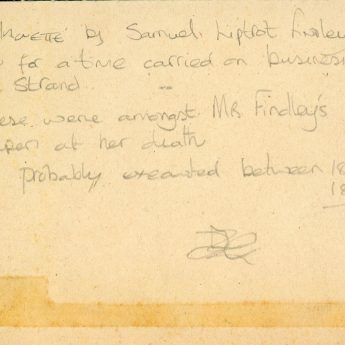 Genealogical research shows that Samuel Liptrott Findley was born in Queenborough in Kent in July 1816 and that he married Mary Carey Hobson, a minor, in 1847. 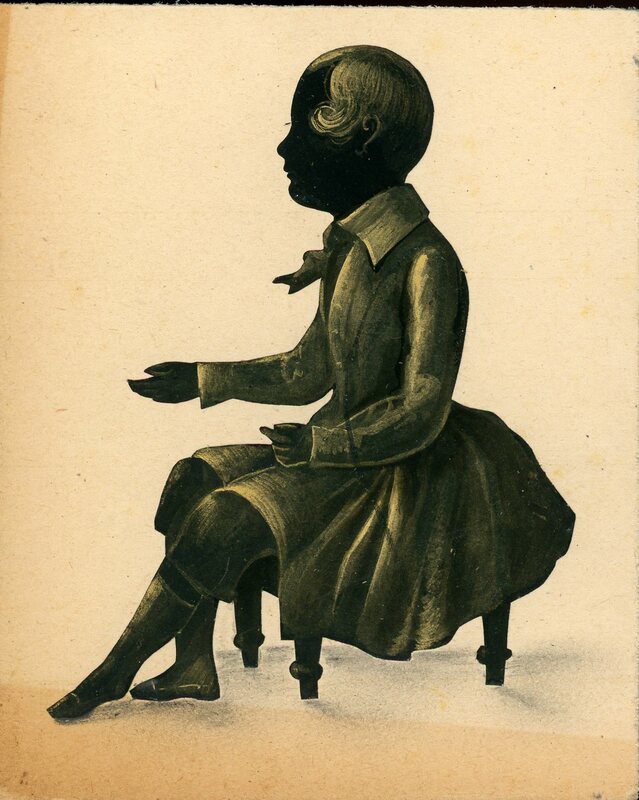 He lists himself as a “gentleman” on the marriage certificate so it is inconclusive whether or not this silhouette was actually cut by him or was perhaps of him as a child. Whichever way, it is a silhouette of interest and is presented in a period walnut frame.